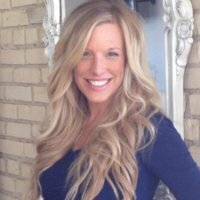 I first entered the industry in 1995 as an agent working with Prestige Property in Grand Rapids Michigan. After a few years I relocated to Traverse City where I began working on commercial real estate all over the state of Michigan doing site acquisition for Walgreen pharmacies. Over the next 10 years Walgreens asked for sites outside of the Michigan territory where I then partnered with other agents to get the best possible properties under contract turning them over to the developer. During that time I had become a broker and once again went back to what I loved the personal relationships and joy of working with returning clients. Today I am with ReMax SunQuest in Grand Rapids frequently traveling throughout the state for clients. Having the number one real estate network behind me helps me in the markets that are away from the area in which I live Richland/Gull Lake and the surrounding area of my Grand Rapids office. I love my job and I love helping people find their perfect home, cottage, second home, lake house, condo, or timeshare. I look forward to helping you find your dream home too. Bought and sold a Single Family home in 2018 in Oakland-Winchell, Kalamazoo, MI. Sierra was great to work with and went above and beyond to sell my house and get me into my new home. There were times I was busy at work, and she stepped in and did some of my appointments for me. I truly appreciated her "can do" attitude and she was a pleasure to work with. I will pass her name along to anyone I know looking to sell or buy a house. Bought and sold a Single Family home in 2018 for approximately $600K in Richland, MI. Sierra went above and beyond helping me sell my home. Then found me my new home first day it went on the market. Sold one house moved into my new within 45 days ! Bought a Multi Family home in 2017 for approximately $125K in West Grand, Grand Rapids, MI. All around great Broker and person! She found me my 1st investment property and negotiated a great deal! She knows Grand Rapids very well, the process was smooth and communication was great! Im looking forward to our next deal!